Abebio | ARP American Research Products, Inc.
Wuhan Abebio Science is a leading biotechnology company specialized in production of high quality biological products such as proteins, antibodies and ELISA kits. 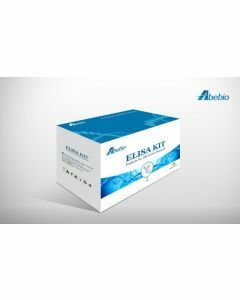 Abebio produces thousands of ELISA kits, for the detection of a wide range of targets, such as cytokines, growth factors, chemokines, hormones, viral antigens and recombinant proteins. Abebio strives for outstanding results at competitive prices; high yields, production efficiency, utmost purity and uncompromising biological activity. In addition, providing high quality products to our customers, Abebio also provides comprehensive customer service to a broad range of customers around the globe, from academic and government research institutions to biotechnology and pharmaceutical companies.